Once you have paid for your phone session, you will be contacted to arrange a time for me to call you. We are on Pacific Time. However, with clients all over the world, we are able to accommodate your time zone. We will email you asking for the best phone number to reach you on, where you are located, to determine your time zone - and when you would like a phone call. Note that there are absolutely no refunds or guarantees offered and be sure to familiarize yourself with our TERMS OF SERVICE. Everyone experiences occasional premonitions or moments of rare synchronicity or amazing coincidence. But can anyone be psychic? The answer to that question is much the same as if one had asked, “can anyone be a great singer?” Although nearly everyone can sing, at least Happy Birthday, or so we would hope, not everyone can sing well. And very, very few people can sing especially well, on cue, all of the time. So a psychic is someone who possesses a natural talent, and has taken the extra step of devoting their lives to improving upon that talent, understanding it, discovering the tools that make their talent better. A psychic is a vessel, to a mysterious energy, which allows one to bend time and to see past, present and future for what they truly are – all parts of the same landscape. 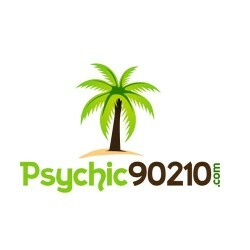 Buyer beware when shopping around for the right psychic to fit your needs. Anyone who advertises that they are a 4th generation psychic, with a 99 percent accuracy rate and can reunite lovers in hours – run. An honest psychic, an authentic psychic, does not make such claims. How psychic energy works is largely a mystery to us as well. A respectable psychic is someone who not only has the gift of psychic awareness, but has also refined it. In my practice I never stop learning. I have identified inner voices, thoughts, feelings, visions and sounds that signal to me when I am getting a psychic hit. All of the best psychics I have known work in much the same way. If I don’t know the answer to your question, I will tell you. If I am totally blocked, I will refund your money instantly. That said, these things really don’t happen. 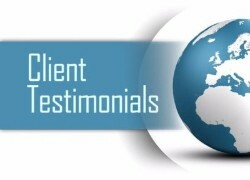 My clients come back because I under promise and over deliver. If you want a reliable psychic reading with a psychic reader you can trust, you have come to the right place. Since the time of the Big Bang, everything in the Universe has been set on a trajectory. And the whole system of time and space is held together by a beautiful system of synchronicity. When used by an authentic Psychic Reader, the Tarot Cards can tell us where we have been, where we are now and where we are heading. They can also often reveal what can be done in order to change the outcome of certain events. 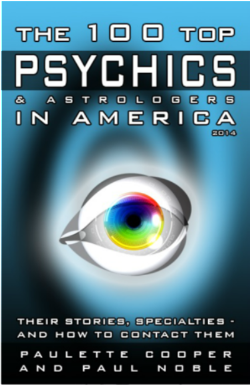 A psychic reading can tell you where you’ve been, where you are now and where you’re going. My psychic readings reveal not only your hopes and fears, but hidden influences that could help you or hurt you. Using the mystical power of my natural Clairvoyant ability, I will unlock the mysteries surrounding your life and show you how to get on a better path towards avoiding the unwanted and achieved that which you could only dream about before.